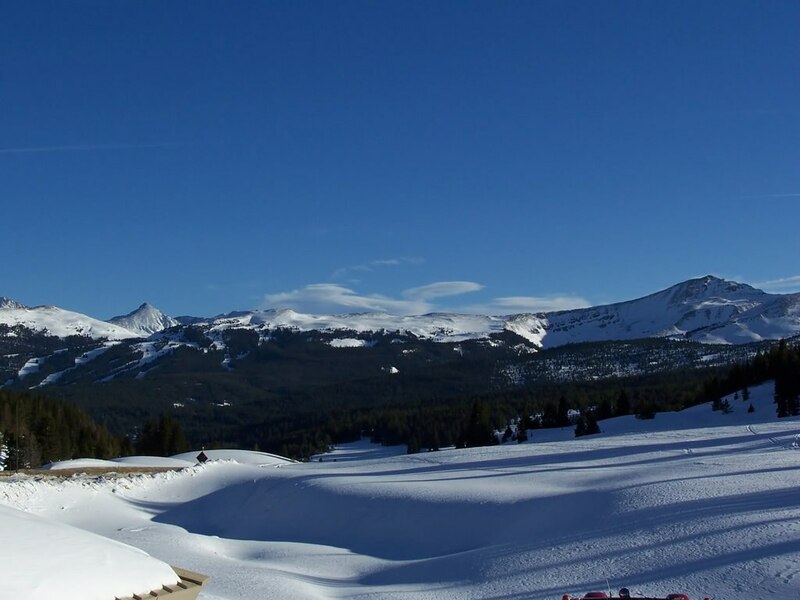 A short drive from Denver, Vail, Colorado, with 5,200 acres of ski terrain and seven miles of legendary back bowls, is one world's largest single-mountain ski resorts. Vail is not only renown for extraordinary skiing, but its après ski scene also is exceptional. Après ski is a rite of passage, the time of day after your last run when you gather with friends to socialize over a cocktail or two. It's also a lot of fun. Quaint and picturesque, Vail Village, at the foot of the mountain is packed full of Bavarian charm and is the perfect place for a little (or a lot) après ski. Best of all, it's pedestrian friendly, so you don't need a car. The area has quite literally dozens of choices for fun after a day on the slopes, but here are just a few of our favourites. The Bully Ranch, at the Sonnenalp, is known for its Bully Burgers and mudslides-rich, creamy, frosty adult libations that mix vodka, Baileys Irish Cream and Kahlua blended with ice to a frothy perfection. The vibe here is kicked-back cowboy and mountain casual. Happy hour is from 3-5 p.m. daily. With an unbelievable selection of spirits, the Frost bar at The Sebastian is a great place to get a handcrafted cocktail. If you're feeling in need of a pick-me-up, try the Antioxidant, a luscious libation comprising blueberry- and raspberry-infused vodka, pomegranate liquor, cranberry juice, lime juice, and orange juice. The beverage menu is a tad on the swanky side, offering the likes of a Glenfiddich single malt for US$37 and one ounce of Remy Martin Louis XIII "Connoisseur" US$150. A Vail Village institution since 1964, Pepi's Bar, located in the Hotel Gasthof Gramshammer, has been a favourite of presidents, actors, astronauts, athletes, and local legends. Loaded with European charm, Pepi's Bar is the perfect place to go for an ice-cold Austrian beer, people-watching, and live entertainment. The Red Lion is located just steps from the slopes, and offers a selection of Colorado-made microbrews such as 90 Shilling Ale, Breckenridge Avalanche Ale, and Sunshine Wheat. One of the pub's signature libations, the Mountie, is a delicious handcrafted blend of Crown Royal, amaretto, pineapple juice, cranberry juice, bitters, and splash of soda. If you really want to get the chill out of your bones, sip on the Hot Apple Pie, a cocktail of hot cider and Tuaca (a vanilla citrus liqueur) topped with whipped cream and a cinnamon stick. The 10th Mountain Whiskey and Spirit Company tasting room is an intimate setting on Bridge Street and features five signature libations: bourbon, rye, moonshine, potato vodka and sage-infused peach-vanilla cordial. Options are served neat, on the rocks, or in the form of a flight. A local favourite is a special barrel-aged cocktail called the Seibert Sipper. The cocktail is similar to a Manhattan and was named after Pete Seibert, the 10th Mountain U.S. Army veteran who started Vail Mountain. It's a blend of bourbon, sweet vermouth, Aperol, and a cinnamon stick. In the center of Vail Village, adjacent to the ice skating rink, is Bol (pronounced "bowl"). This joint is a sleek, modern, custom cocktail bar and bowling alley. To be clear, this isn't your grandpa's bowling alley; a one-hour lane rental will cost you US$65 for up to six people. Despite the price, the place always is packed and reservations are recommended. The real highlight is the 65-foot bar and the menu of custom cocktails. Bol's bar manager recently won a spot to compete in the national finals of Bombay Sapphire/GQ magazine's Most Imaginative Bartender Competition in Las Vegas. Her award winning cocktail, Genmaicha, is the perfect marriage of gin, green tea, and a variety of exotic botanicals. For spectacular views, check out The 10th at the top of Gondola One up on the mountain. Inside there is a massive yet cosy fireplace that is both rustic and elegant at the same time. Heated tables on the 10th's patio are a great spots from which to warm up with an adult libation. As the sun sets, the Gore Range lights up with gorgeous hues of orange, red, and pink. It is the perfect setting in which to enjoy a glass of wine from The 10th's extensive wine list. The après ski menu is available from 3-6 p.m., Tuesday through Saturday. Finally, though it's not alcoholic, we love the Haut Chocolate at the Four Seasons Vail Resort. The smooth and dark drink is served on a silver tray in a traditional French hot chocolate pot. Servers churn the rich, thick, Valrhona chocolate tableside with steamed milk before artfully pouring it over homemade marshmallows and a dark chocolate lattice. Even if skiing or snowboarding isn't your thing, Vail's Après-ski scene is well worth the trip. Cheers! What is your favourite Après Ski activity?